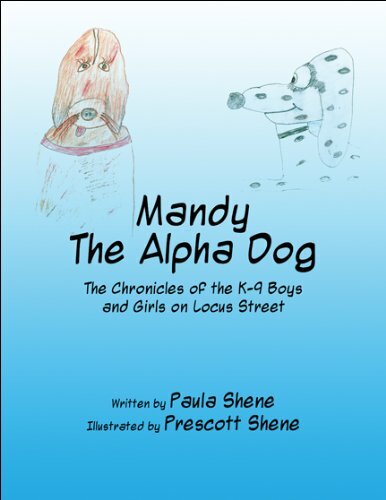 The first in the series of The K-9 Boys and Girls on Locus Street. The Peacock Writers are a fluid group of authors from around the world. 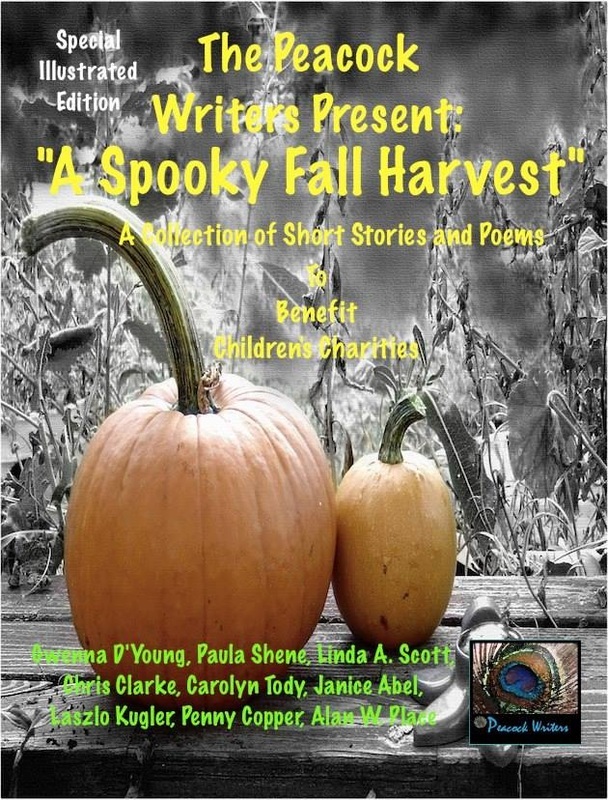 Bringing various talents in stories, poems and artwork to you, in this book, to help raise money benefiting children's charities. 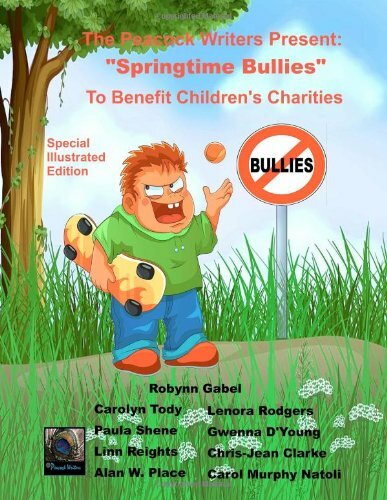 “Springtime Bullies” represents our sixth book in a bi-annual series published with Autumn/Winter and Spring/Summer themes. We chose bullying as our Spring theme because it seemed to be so recently prevalent in the media and personal lives of the authors. We hope that your family and friends find these stories and poems helpful in learning to deal with this difficult subject and will cherish them for years to come. All proceeds from this series go to charity. Please join the Peacocks in making a child's dreams come true. "A Whimsical Holiday for Children" is a collection of holiday themed poems and short stories by five authors in the US and UK known as the “The Peacock Writers.” They have joined together in the spirit of giving this holiday season, anticipating releasing an anthology for charity every year. 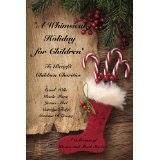 Their poems and stories are written to encompass the joy of being a child during the most magical time of year, Christmas. 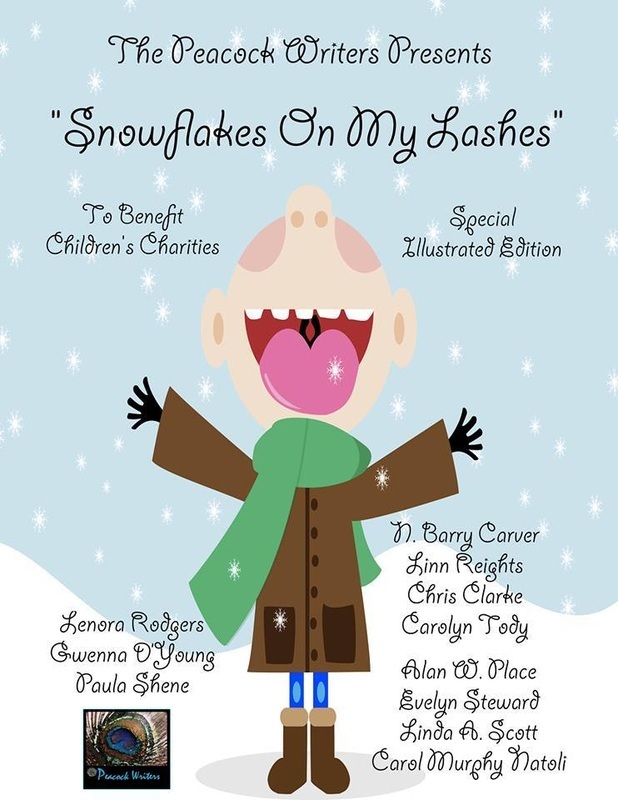 Each author contributed their talents to raise money to benefit children’s charities through the purchase of this book. The Peacock Writers are a group of authors from around the world that join together in the spirit of giving. 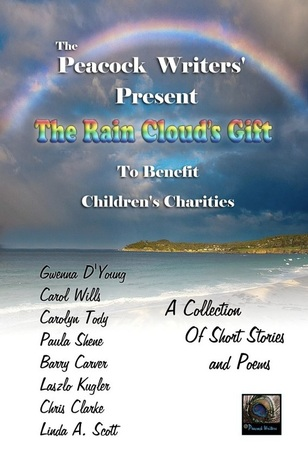 Bringing various talents in stories, poems and artwork to you, in this book, to help raise money benefiting children's charities. Please join them in making children's dreams come true. All proceeds from this series go to charity. Special Illustrated Edition! This year's Autumn/Winter Theme is The Fall Harvest. It is a busy time of year and in many cultures it is also a time of reflection. It is time to honor and pray for those lost, to give thanks for the past year's blessings, and to ask for guidance in the next spring season. The Peacock Writers are a group of authors from around the world that join together in the spirit of giving by offering their talents in short stories, poems and artwork. The Peacock Writers and all the proceeds of this book, are dedicated to helping children and the charities that feed, comfort and defend them. Please join them in making children's dreams come true. This year’s Spring/ Summer Theme is the magical world of Faeries, Pixies and Dragons. A child’s imagination can create so many little friends and journeys. The Peacocks have joined with musician John Hunter Phillips in honor and prayer for those children lost to us this past year with a Special Dedication and a link to a download for his musical tribute. The Peacock Writers are a group of authors from around the wold that join together in the spirit of giving by offering their talents in short stories, poems and artwork. 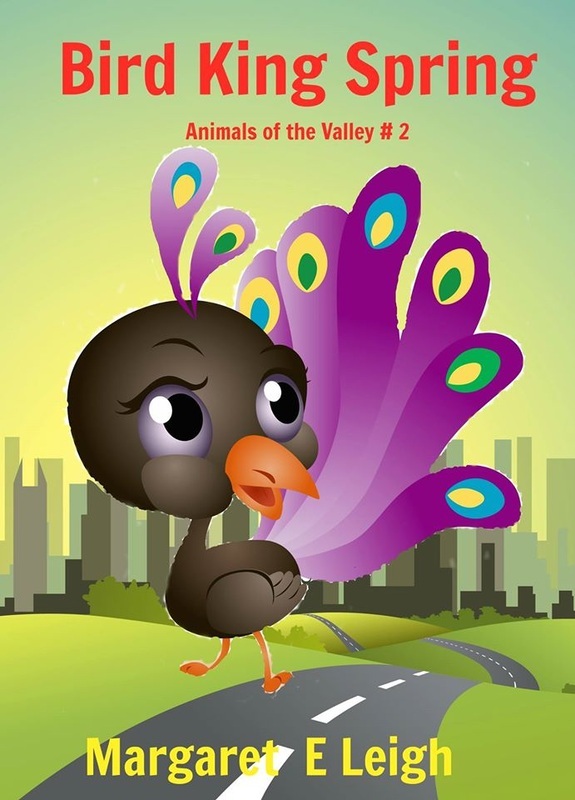 The Peacock Writers and all the proceeds of this book, are dedicated to helping children and the charities that feed, comfort and defend them. Please join them in making children’s dreams come true. The Peacock Writers' Fall/winter theme is "Winter Fun." It is winter again and the snow is falling. Let's go play and have some fun! The Peacock Writers are a group of authors from around the world that join together in the spirit of giving by offering their talents in short stories, poems and artwork. 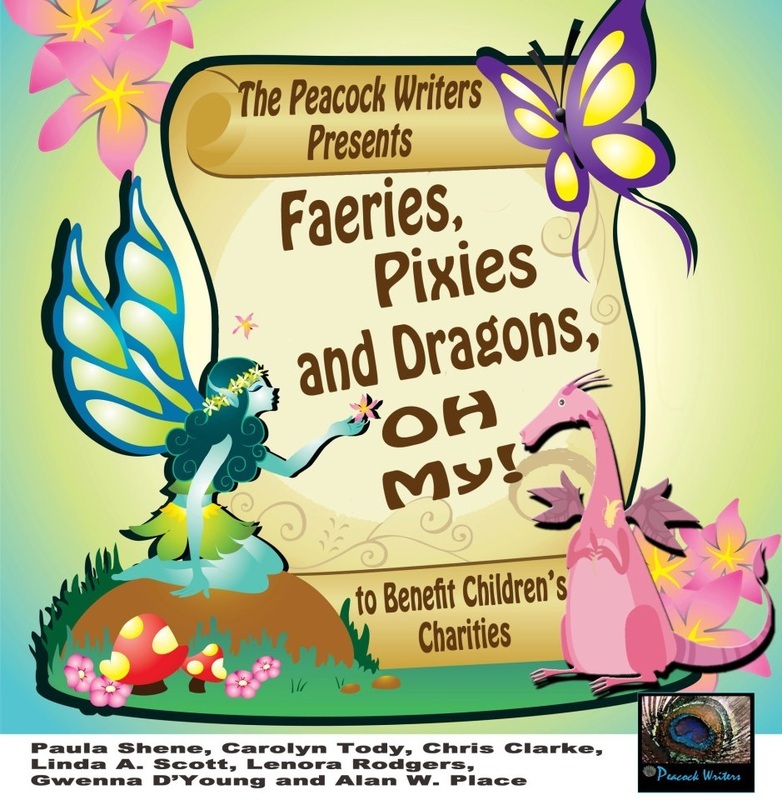 The Peacock Writers and proceeds from this book, are dedicated to helping children and the charities that comfort, feed and defend them. Please join them in making children's dreams come true. The Peacock Writers are a fluid group of authors from around the world. 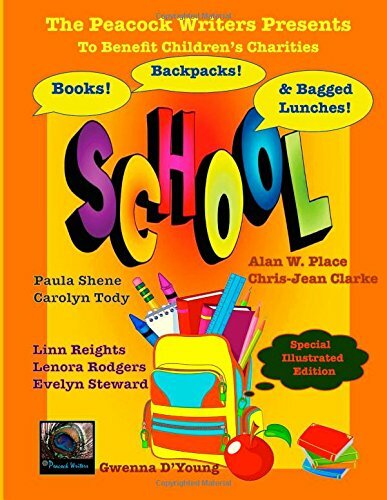 "Books Backpacks & Bagged Lunches" is our seventh collection of short stories and poems in the continuation of our series of books dedicated to raising funds to benefit children's charities. The proceeds from all our books go directly to those who protect, feed comfort and defend children. The Beginning of school can be fun, adventerous and stressful. Entering a new school, meeting new friends, and finding your way through the social structure all while trying to learn new concepts, facts, figures and lessons. This book is dedicated to those intrepid teachers, scholars and students whose thirst for knowledge inspire us all. Do you like pirates? 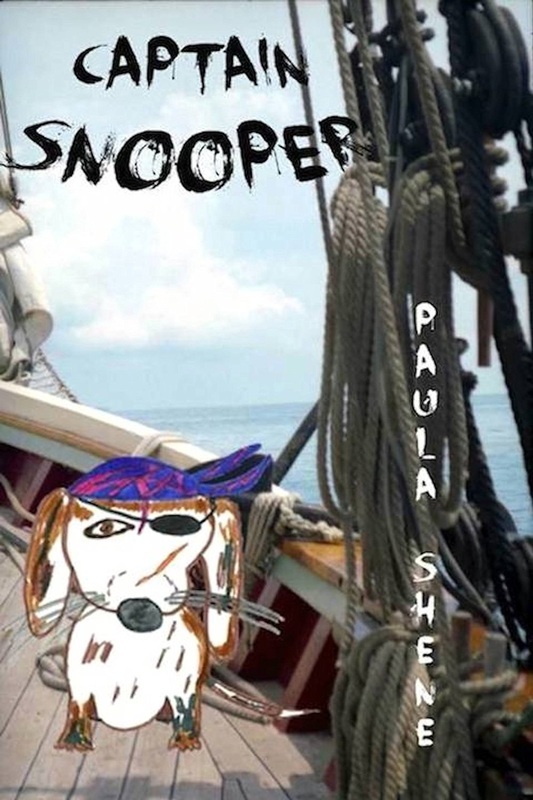 Snooper does; as a matter of fact, he has a pirate in his family tree! The tale of Captain Snooper and Long Paul Silvertongue is told as Snooper practices his 'pirate speak', while Shadow helps Snooper decide on his costume for the Halloween and Harvest festivities. Join Snooper as he learns to talk like a pirate, and his friend Shadow, learns all about Snooper's famous ancestor in the delightful Halloween tale, Captain Snooper. 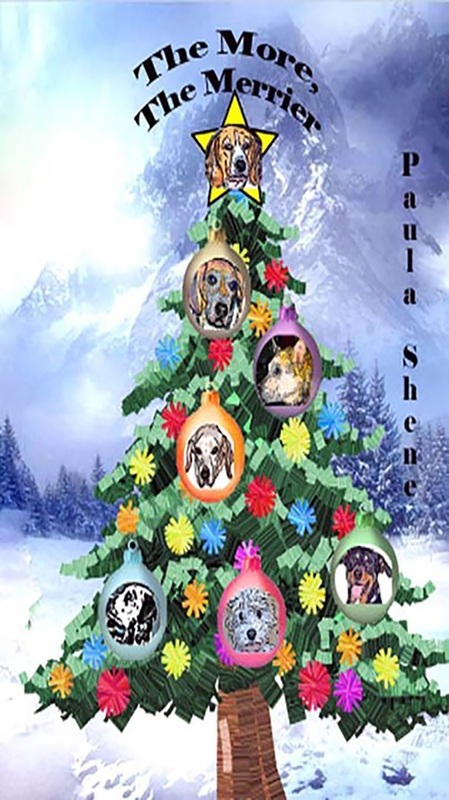 Mandy the Alpha Dog has a big dream AND a secret she tells the pack in this delightful and insightful tale of a Merrier Christmas for all as Santa and his elves set out to fulfill her wish. Will they be up to meeting her goals? Will they be able to make her Dream come True? Come with us as we enter the world of the elves that work year-round helping Santa to make Christmas a happy time for all boys and girls and in this tale, apparently the animals too, around the world in The More, The Merrier! The Read for Animals project started when I was organizing and rewriting the short stories I have written the past few years. 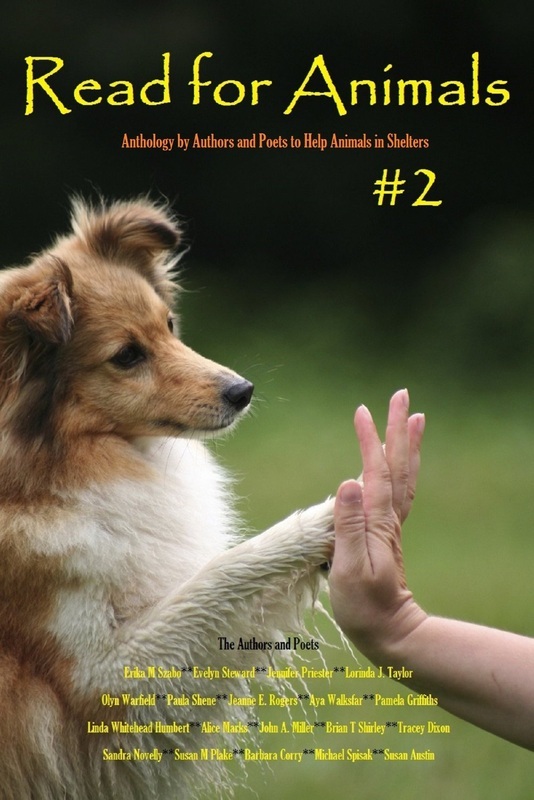 The idea came to me that with a few of my friends we could put together an anthology to help animals, and I asked my animal lover friends if they’d like to participate. They responded, and the stories and poems started flooding in. 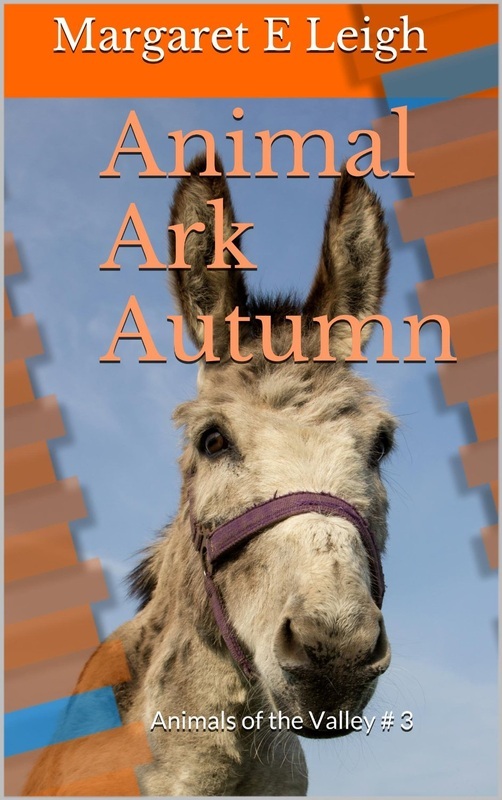 We published the first book of the Read for Animals series, and the first donation was made to Columbia Greene animal shelter of NY, thanks to animal lovers who purchased the book. 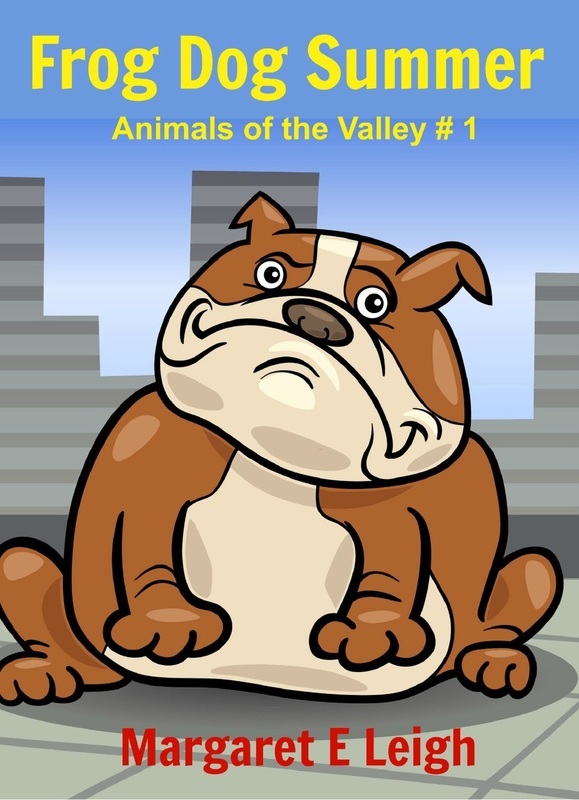 This book is the second in the Read for Animals series. Some stories will make you laugh out loud; others will warm your heart and make you cry. Some stories are true, and the fantasy stories will make you think… what if? Each author and poet brings their unique writing style, to make the book enjoyable. 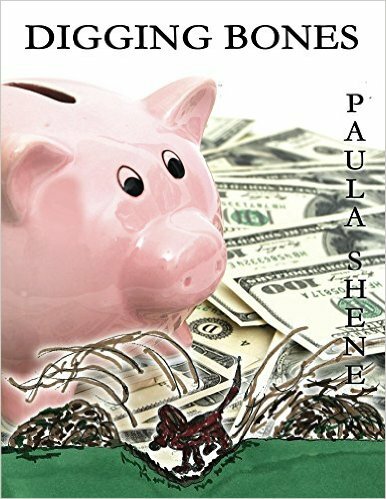 In this award-winning story, Digging Bones, Snooper decides to open his bank with digging a hole to store his bones. He talks to Shadow, telling him banking will help to save for a rainy day, and is a must because of a looming financial crisis. Will Shadow bank with Snooper? Will Snooper convince him to conserve? Will they have enough to eat? They discuss ways to cut costs while trying to assure themselves there is enough to go around, - they hope. Coloring is Fun! Use your imagination to create Halloween costumes for the K-9 Boys and Girls on Locus Street. 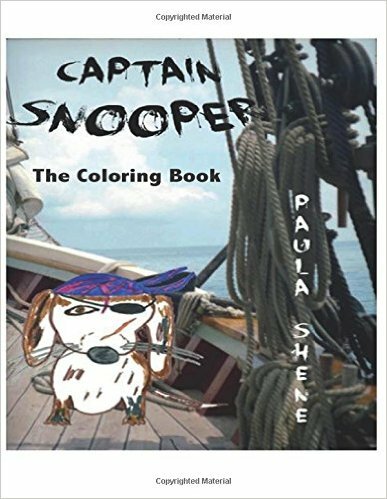 Features Snooper dressed as his famous ancestor, the pirate, Captain Snooper! The Peacock Writers are a fluid group of authors from around the world. 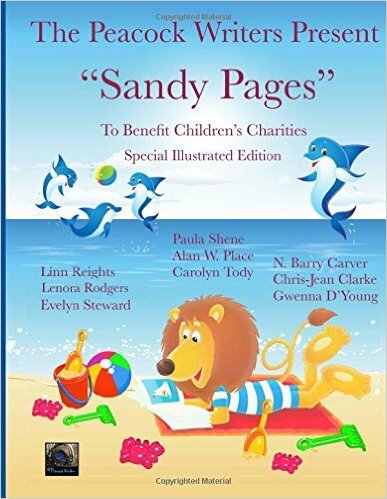 “Sandy Pages” is our eighth collection of short stories and poems in the continuation of our series of books dedicated to raising funds to benefit children’s charities. The Proceeds from all our books go directly to those who protect, feed, comfort and defend children. The ending of Spring flowing into Summer is a wonderful time of glee for children. This is especially true when able to couple the joy of a re-awaking nature with a trip to the shore where water laps at feet, be it a lake or an inlet or an ocean. This book is dedicated to the endless energy and joy children experience in new or in old favorite sunlit beaches, learning nature’s secrets, enriching their lives, and spending time with old and new found friends.